Staying ahead of the winter takes a lot of preparation and you can’t wait until snow storm hits. You need to be prepared well before that. One of the main tasks during winter is clearing the snow from your driveway and around your house. Without a snow blower, you are definitely going to hurt your back. Depending on the amount of snowfall and the terrain you need to clear, it is better to invest in a snow blower that can clear all those snow with ease. 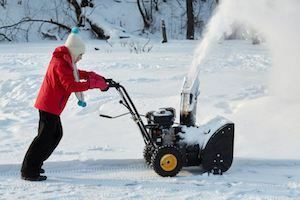 In this article, we’ll be looking at an extensive guide to choosing the best rated snow blowers. Which Snow Blower Should I Buy? Who Makes the Best Snow Blower? 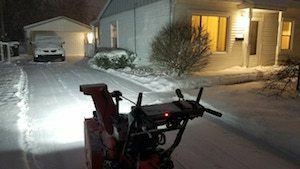 Electric Snow blowers are lightweight machines that can be used to clear light snow from your driveways and sidewalks. You can read our Greenworks snow blowers reviews as this is one of the best there is in the market. The small and lightweight electric snow blower comes in handy because they can be used in places where your large and bulky snow blowers can hardly fit in your balcony and narrow decks etc. Electric snow blowers require little to no maintenance. However, their downside is these are definitely not the powerhouse models and probably not sufficient enough for clearing heavy thick snow from your courtyard. If you are looking for a battery operated snow blower, you can check out our Powersmart snow blower reviews. Gas snow blowers uses oil and are more powerful than the electric snow blowers. However, it is more expensive. Depending on the type of gas powered snow blower you are looking for, the price range can be from $500 - $1500. Single Stage Snow blowers are ideal for medium sized walkways and paved driveways with snow levels of up to 9 inches. These snow blowers are easy to handle and are fairly lightweight too and are typically 19-22 inches wide. Similar to electric snow blowers, the single stage snow blowers are not ideal for gravel surfaces as they throw only once. If your location has an average snowfall about 12 inches, then it is better to go for a two stage snow blower. Unlike the single stage, the two stage snow blower throws the snow twice as initially, the metal auger scoops the snow and then with the help of a hi-speed impeller, the scooped up is thrown out via the discharge chute. Since the auger doesn’t come into contact with the ground, these two stage snow blowers can be used even in gravel surfaces. Many positive Ego snow blower review and troy bilt snow blower reviews reveal the fact that two stage snow blowers are the best option in clearing snow from your driveways. If you are looking for the most powerful and highly efficient snow blowers that can clear huge amounts of snow, then the three stage snow blower is your best choice. These snow blowers come with 2 metal augers that scoop up the snow and ice and an accelerator chops and pushes the snow with the help of the impeller through the chute. These snow blowers can throw snow at a maximum of 50 ft. Briggs and Stratton Snow blower reviews clearly indicate that they are capable enough to cut through the toughest snow and make your task of clearing snow much more easier than before. Before buying a snow blower, you need to understand the kind of driveway you have back in your home and choose a model that is capable enough to clear the snow in that driveway. For example, if you have a gravel surface, you can’t use an electric or a single stage snow blower as it would damage the rubber auger and also throw the gravels all over your lawn. It is better to go for a two-stage snow blower if you a have a gravel driveway or a sloped driveway. It is also important to consider the average amount of snowfall your area will witness every year. If there is only a light snowfall, then it is better to go for an electric or a single stage snow blower. But if the snow fall is heavy and deep, it is better to invest in a two stage or a three stage snow blower as these machines comes with powerful engines that can easily clear cut through the snow and clear them in no time. When it comes to two and three stage snow blowers, they are powerful machines and are also heavy. Moving around in the snow can be an exhausting task and hence it is better to go for snow blowers that comes with power steering option. This allows you to easily move around these heavy machines in the snow and also complete the task quickly. Winter time doesn’t get the much-needed sunlight and if you have snow blowers fitted with headlights, then it is easy to clear all the snow in your driveway early in the morning or even at night during an emergency. 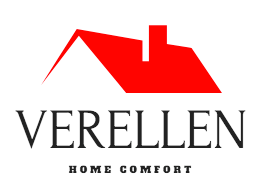 Ariens is one of the oldest snow blower manufacturers as they have been making tracks right from 1960 and have been a renowned manufacturer all over the years. They have a huge variety of machines that can suit everyone’s requirement right from clearing a small yard to commercial clearing equipment. You can find good single and two stage models that can clear snow upto 30 inches. 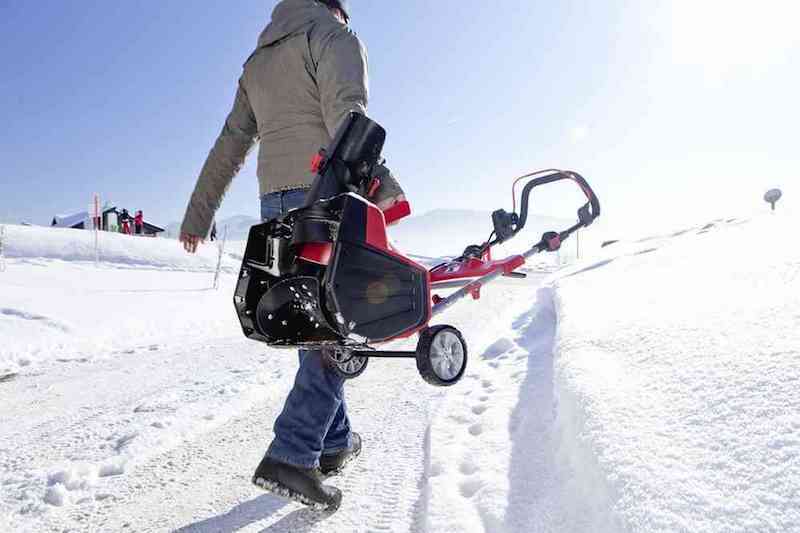 Troy-Bilt is another famous brand known to provide some of the best snow blowers. Troy-Bilt comes with snow blowers in all categories including single, two-stage and three stage snow blowers that can easily clear snow from 21 inches to 45 inches. Craftsman is also a leading snow blower brand that provides all kinds of snow blowers equipped with electric start functionality. You can find single stage, two and three stage snow blowers that can easily clear snow upto 30 inches at Craftsman. Toro is a household name in snow blower sales as they provide high-quality electric machines along with single and two stage gas models. While electric models can clear snow upto 18 inches, the gas powered models can easily clear upto 28 inches.